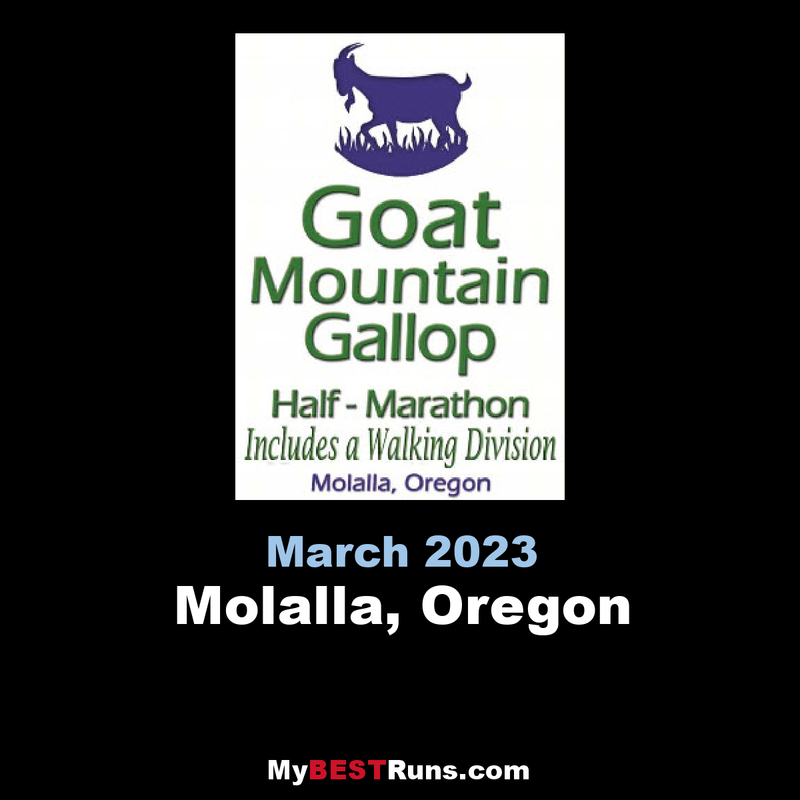 The Goat Mountain Gallop Half Marathon is one of the oldest half marathons in Oregon. This point to point half marathon course starts at the Colton high school taking you past beautiful rural country fields, rolling hills and crossing the Molalla River. Your finish line is at Molalla High School where you will be rewarded by a pancake breakfast. Leave a legacy with this event as race profits benefit the Molalla High School track and cross country team. Support a legacy of American high school running this year by participating in the race that supports our sports future. Could it be that the next record holder could come from Molalla High School? The race is organized by the Molalla High School Track Team (not the Molalla Running Club), and comes with a tech shirt, is chipped timed by Uberthons, has both a separate running and walking option for the half, and finishing medals. Beautiful Scenery running through tree groves, by farms, over streams and great hills for marathon training! Yes its hilly, but you get into great shape for that upcoming marathon you are training for! 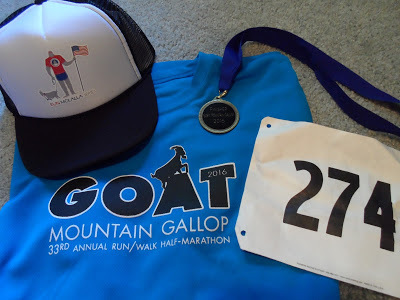 Mike Waters says: "Goat mt half marathon in mollla ore. lot's of hills. very tough but beautiful course." This point to point course starts at Colton High School and finishes at Molalla High School. This challenging course has several rolling hills including the mile long Grimm Reaper but there is an overall elevation loss from the start in Colton to the finish in Molalla. You will enjoy the sweeping views of farms and forest lands through out this 13.1.